The Publisher Says: Growing up, Jason and Marcus Grant were close as only brothers can be. As they reached adolescence, they started to drift apart, taking opposite paths into adulthood. Jason went to college before getting a job at for the local newspaper. Marcus chose a path littered with drugs, violence, and self-destruction. A 16,000-word novella that introduces the forthcoming Brother's Keeper trilogy of novels. Book 1 is due Winter 2012. My Review: Jason and Marcus are dysfunctional brothers from a dysfunctional family. Mom's a cold fish, borderline sociopath; dad's a dishrag, cries easily, and clearly dissociates from his life with a cold woman whose affections he simply can't engage. Neither "parent" spares much time for their sons, and Jason, the elder and the family fixer/achiever, tries to make it all work...until the day Marcus basically kills himself with a heroin overdose the same time as Jason's full scholarship to Washington University is announced. So Marcus sinks into a self-destructive spiral, Jason struggles with his emotional scars, and the story opens with Jason reconnecting with one of Marcus's few good efforts: His girlfriend Delaney, an ex-goth chick and cutie who convinces Jason to go with her in a search for a new, improved Marcus, who has found God. Boy howdy, has he found God. God has told Marcus what to do, and he's setting out to do it: End the world, one dam at a time. Jason is unwillingly roped into Marcus's millennarian plans, with a secret and unorthodox role to play in the Brave New World that Marcus is calling into being. Whether he wants to play that role or not. This novella is a very quick read, and it's far more assured and well-made than much of its competition. It's clearly only a small piece of a larger mythos, which the author's promotional materials suggest will be coming online soon. The pace is brisk; the characters are quickly and efficiently limned; the plot is firmly and boldly erected. This is a solid effort from a writer to watch. 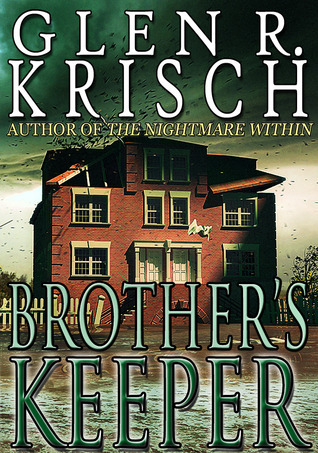 Get your Kindle edition and pass a pleasant hour in the company of Krisch's creation.